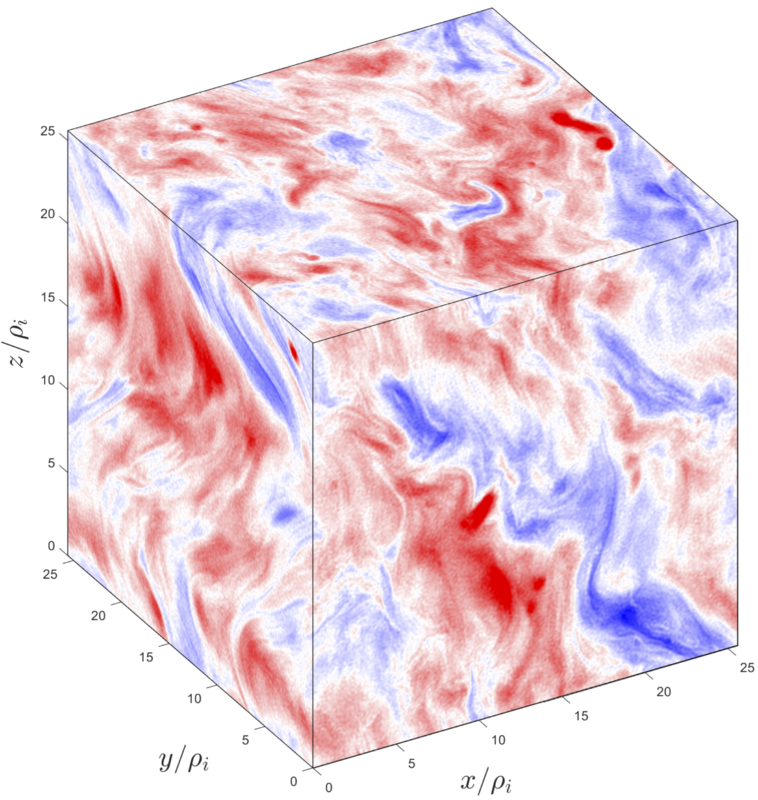 Magnetic reconnection and turbulence play significant roles in a wide variety of plasma environments, from tokamaks to Earth’s magnetosphere to the solar corona and to distant astrophysical sources where they can power intense γ-ray flares. They are both fundamental plasma processes with important consequences, including the conversion of electromagnetic energy to particle kinetic energy. Besides heating the plasma, these processes can drive nonthermal particle acceleration (NTPA), resulting in a power-law particle energy distribution extending to very high energies. Understanding these mechanisms in relativistic collisionless plasmas is especially important for high-energy astrophysical sources, where the existence of nonthermal particle populations is inferred from observations of nonthermal power-law radiation spectra. The acceleration mechanism, however, is a subject of continuing debate. With this INCITE project, researchers are studying relativistic particle energization and resulting radiative signatures in reconnecting and turbulent plasmas, with the ultimate goal of determining the conditions and mechanisms operating in astrophysical sources. To conduct the research, the team is using its open-source, particle-in-cell (PIC) code Zeltron, which is capable of self-consistently incorporating the radiation reaction force to model cases where radiative losses significantly alter system dynamics and NTPA. The massively parallel, 3D PIC simulations of reconnection and turbulence are allowing the team to examine the viability of these two promising mechanisms as potential efficient astrophysical accelerators of large numbers of particles to ultrarelativistic energies sufficient to explain observed radiation. The combination of recent astronomical observations of high-energy radiation and the ability to demonstrate NTPA on DOE’s leadership-class supercomputers, along with the broad relevance of reconnection and turbulence to fundamental plasma physics, make this investigation timely and scientifically urgent.